Made from Kolinsky sable. A short flat watercolour brush. 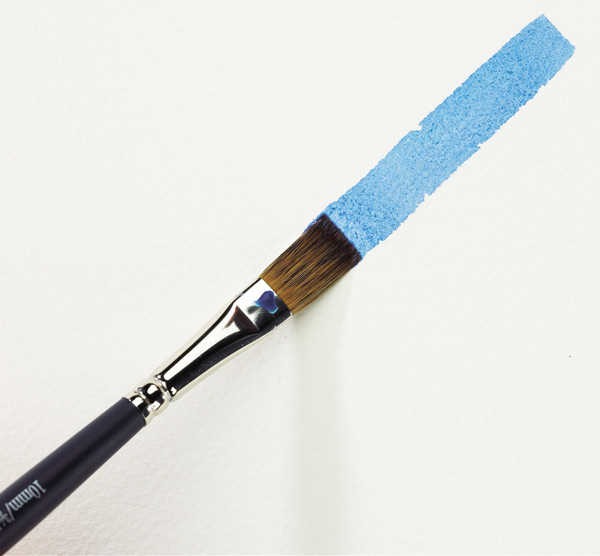 Originally for 'one stroke' application by sign writers, many watercolourists use this brush for washes. 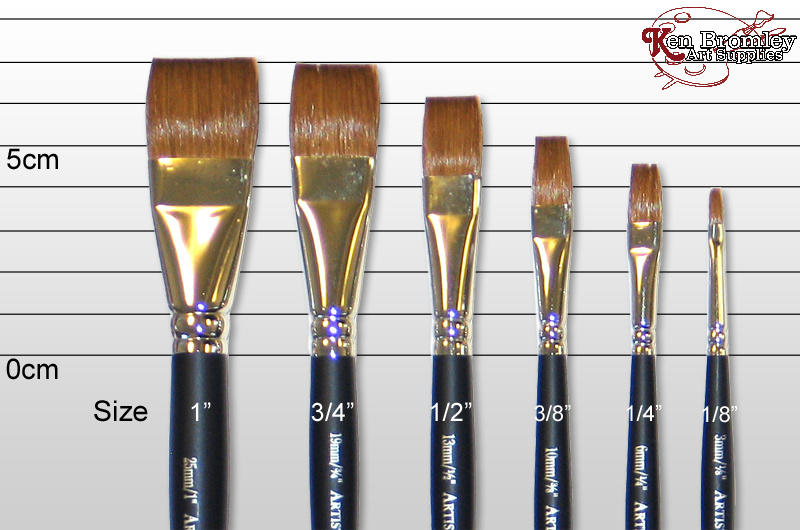 Also makes a unique chisel edged flat brush mark. 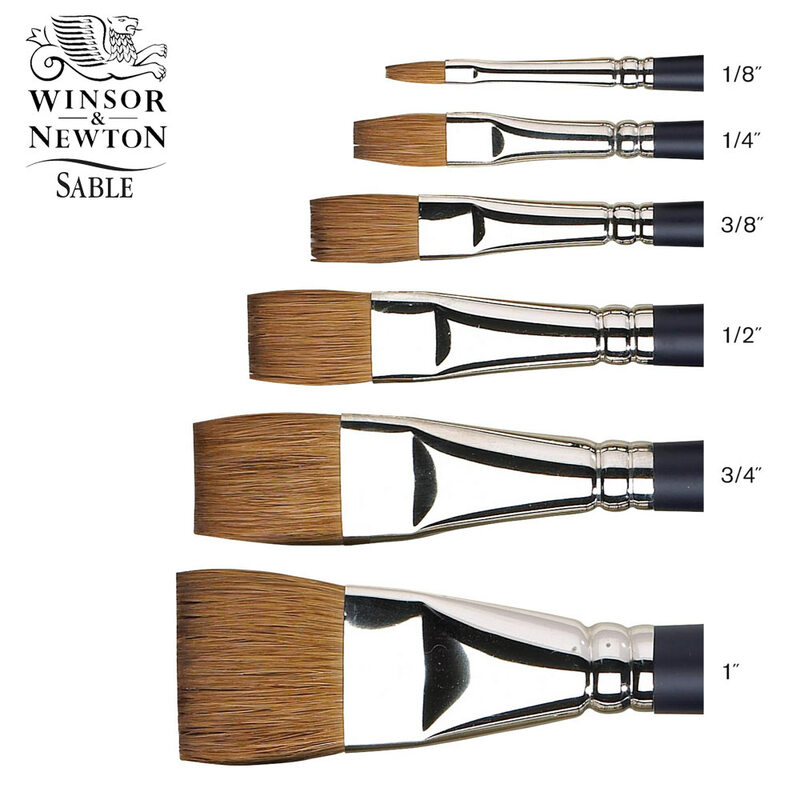 PLEASE NOTE: Due restrictions by the US Fisheries & Wildlife Department regarding sable hair, we are not able to send any sable brushes to the US by FEDEX. Super sharp edge to this brush - Artists' Watercolour Sable Short Handle One Stroke Size 3/4"
perfect water holder - Artists' Watercolour Sable Short Handle One Stroke Size 1"